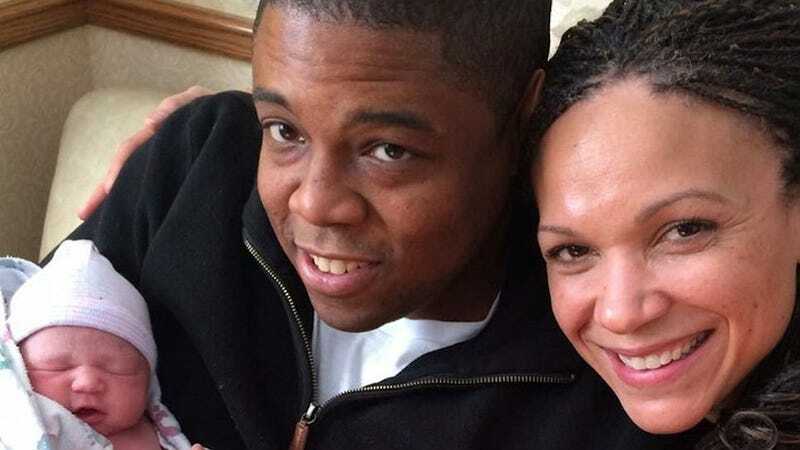 Melissa Harris-Perry announced the birth of a new baby daughter over the weekend; today she’s shared that her infant was welcomed through surrogacy. The MSNBC host explains that after an uneventful pregnancy with her first child, Parker, she suffered painful uterine fibroids. In 2008, she writes on MSNBC, she underwent a hysterectomy. I wept for the children I would never have and made peace with the idea that one is enough. Not long after, she met her husband James Perry and the pair discussed having a child together. Since Harris-Perry had already struggled to find peace with having no more kids, she was skeptical about bringing another into the world without her own womb, but eventually changed her mind. Then I learned a dear friend and his husband were expecting their second child via surrogacy. He is a feminist scholar and a politically progressive intellectual. When I discussed my concerns with the ethics of surrogacy, he understood. He repeatedly talked with James and me, introduced us to a thoughtful attorney, and shared the good and bad of his own surrogacy story. I read everything I could find, consulted everyone I could, and prayed a lot. In 2012, James and I began our journey with enormous faith and more than a little trepidation. Now Harris-Perry and her family have a new baby girl, born on Valentine’s Day, and all of her related and #nerdland family are rejoicing, but the public figure is keeping her surrogate's identity a secret. We are sharing this experience, but our gestational carrier and her family do not wish to share it publicly. It is our sincerest hope to protect their privacy as she has protected our daughter.